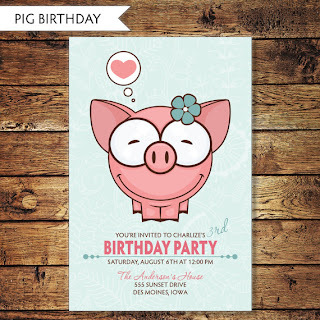 On Monday I introduced one of my new children's birthday invitation designs (the porcupine invite). Over the next couple of days I want to introduce some of my other new animal friendly designs. 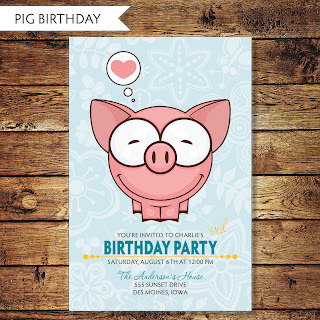 Today is another favorite of mine the pig birthday invitation. I am in love with the girl pig and her cute little flowered bow.